Have you received a message from any of your friends in Friendster with the title Hola, Letting You Know and New Friendster App to name a few? Well, don’t open it. I bet your friends are not even aware they sent you such messages. I hope you miss me as much as i miss you. My first notion was not to open the link because I smell something fishy. But for the hard-headed me, I thought what if my friend just want to share it? What if it’s not really spam? So I clicked it! When I saw that I was being redirected to a different URLwith blackbook and 3Xs, I immediately closed the browser before it loads the site. I already guessed where that link is leading me. I should have listened to myself when I said I should not click it. Silly, stubborn me! As of today, I received 5 or more similar messages from 3 different profiles. I just wonder how ‘they’ sent those messages. We’re they infected with whatever virus? What if “I am” sending others with the same messages too? chugi ang email na yan! wag patulan! hahaha! @Nilo, kaso nga ang tigas ng ulo ko, kahit sarili ko di ko pinakinggan, haha! @Reynz, sure your Highness, wait, puntahan ko site mo later para makita ko kung anong kaguluhan yan, haha! Sure boat kita, ikaw pa! Naku ang mga spammers eh kung anu-ano ang drama ng mga yan fren. Kahit Paypal ini-spam kanya gusto ko nang magwithdraw nung kapurit na kinita ko from blogging. Amor, parang di pa ako nakatanggap ng ganitong email from friendster. Hehee, lahat ng nag-invite sa kin ng mga apps ay di binuksan. Ang mga spammers talaga oo, di hihinto kapag di nagwawagi. Marlene: good for you kung hindi ka nakakareceive ng ganyang email from Friendster. Ako rin deadma sa apps invites na yan. these are the thing which always afraid me to do social media. I left yahoo, freindster and orkut a long back. Do you have any solution to stop those SPAM? 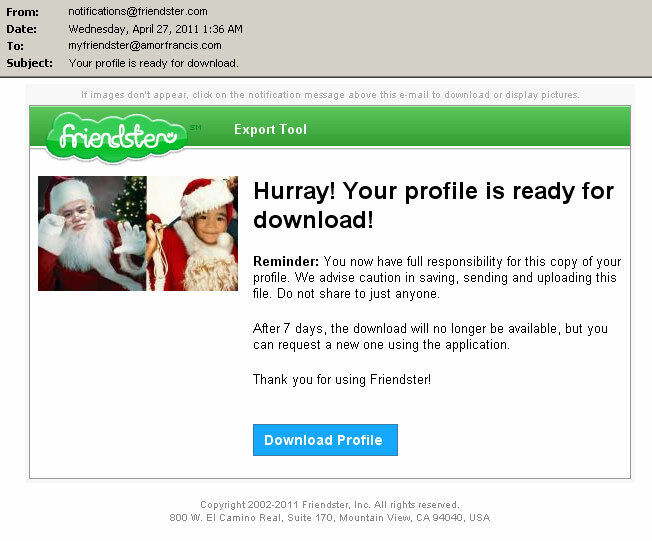 I received these Friendster SPAM for the last 3 weeks. 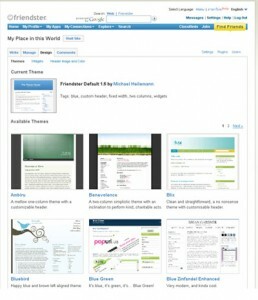 I sent e-mail to help@friendster.com but nobody reply me. Friendster SPAM e-mail is their registration system leak . 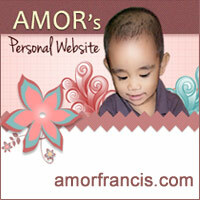 Anyone can use any e-mail(real/fake) for registration in the Friendster web site. However, they DON’T REQUIRE ANY E-MAIL VERIFICATION/VALIDATION. So, someone use my e-mail address to register Friendster. Then, I’m the one who kept receiving those Friendster e-mails. I registered the account for test only. I closed it already.